I am possibly the last to post of the `regulars` who trapped last night (15/7), but it was worth trapping. I had the two traps out here at my Pwll garden and there was a decent catch to inspect early this morning (I had arisen from bed extra early to avoid the predicted rain showers - which actually did n`t happen). 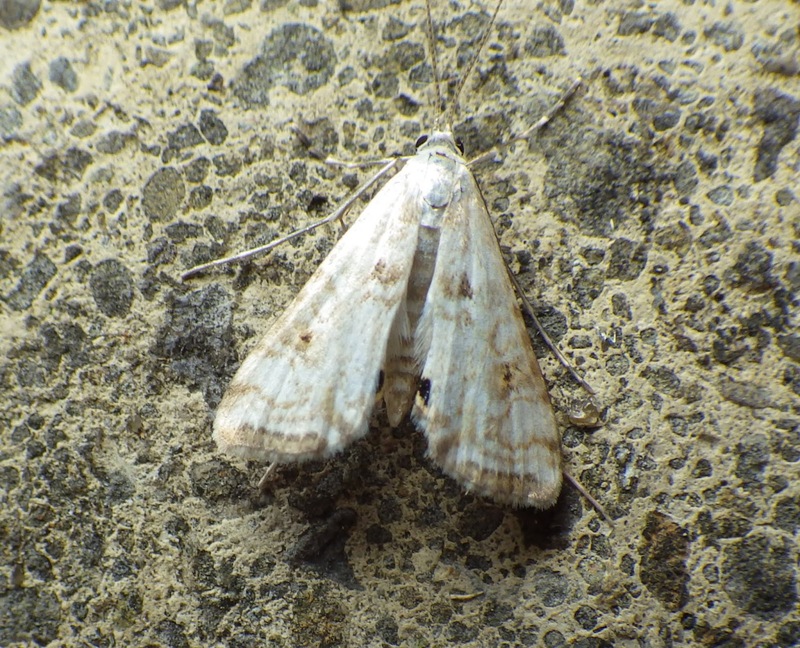 In contrast to the prevailing northerly winds of the recent prolonged hot spell, last night`s wind was southerly and it brought moths from a different direction and different habitats. 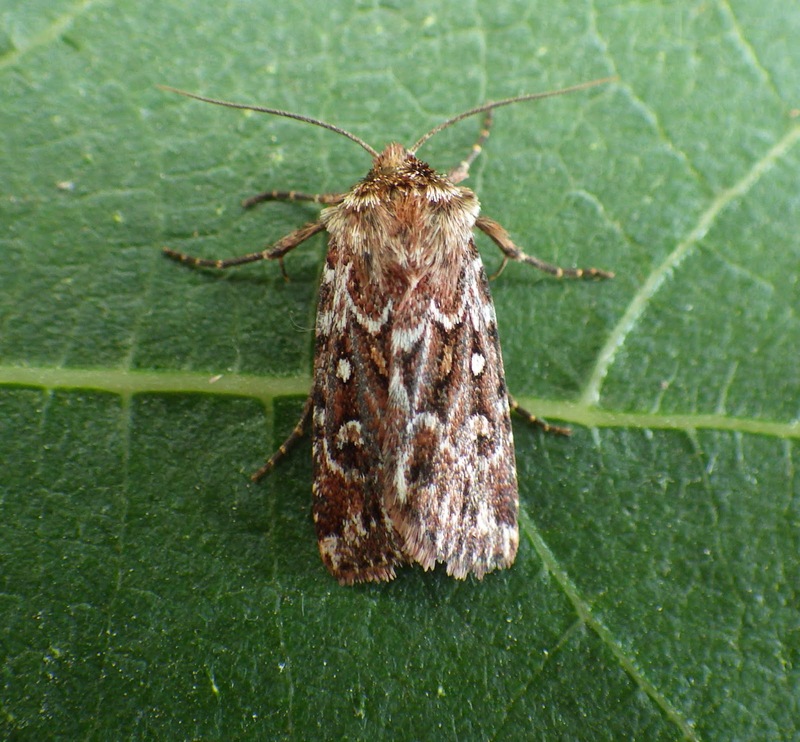 From wetland habitat immediately south of the garden came 8 round-winged muslins and 6 small wainscots; from nearby sandy coastal grassland 5 scarce footmen arrived, but a true lover`s-knot must have been blown over from the north Gower heaths. 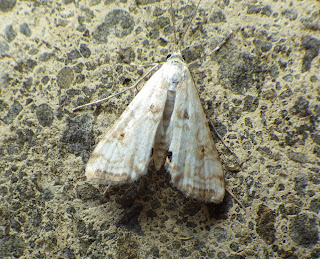 Of migrants there were only silver y`s and it now seems that the micro Argolamprotes micella is probably resident in and around my garden - I had another two last night. A few tiny Gynnidomorpha sp. were in my traps this morning but which one, I do not know. Above: last night`s true lover`s-knot. 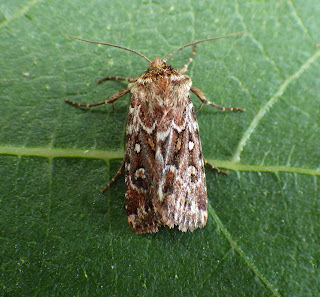 Above: small china-mark - ringed china marks are more usual in my garden traps. Well done to Adam, Andy, Chris and Steve for also trapping last night.